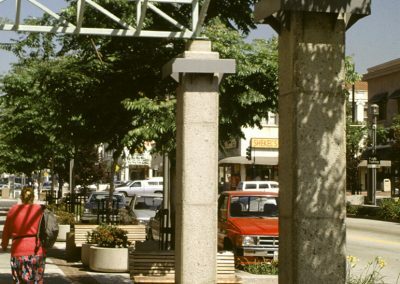 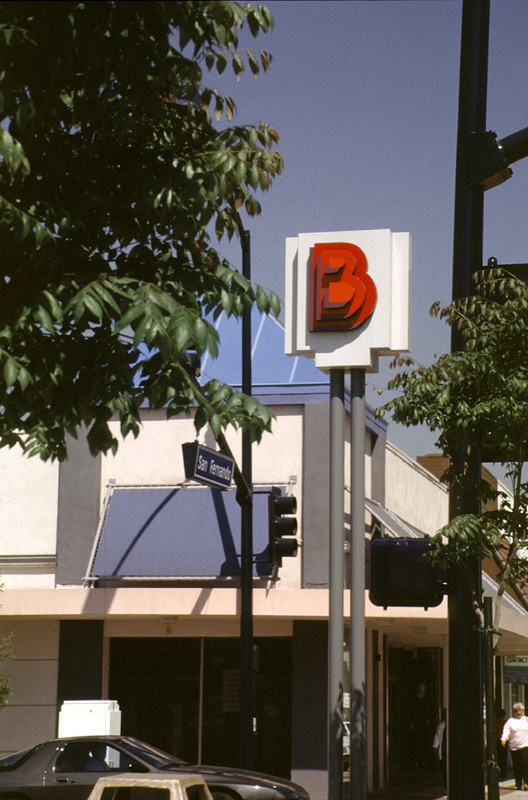 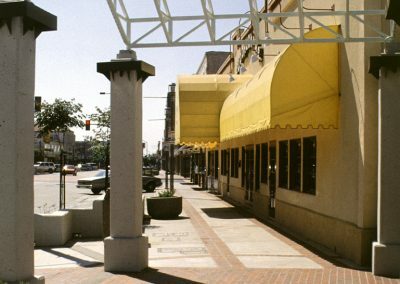 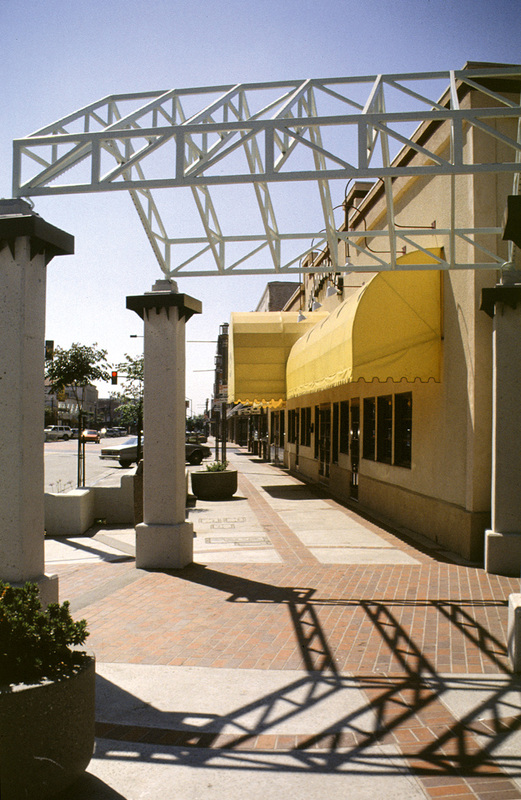 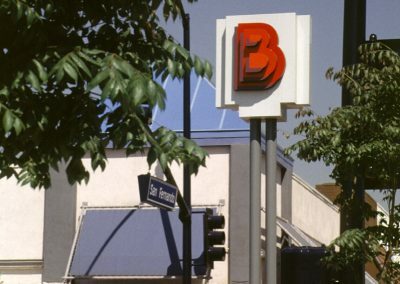 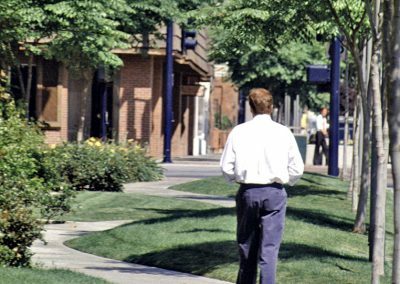 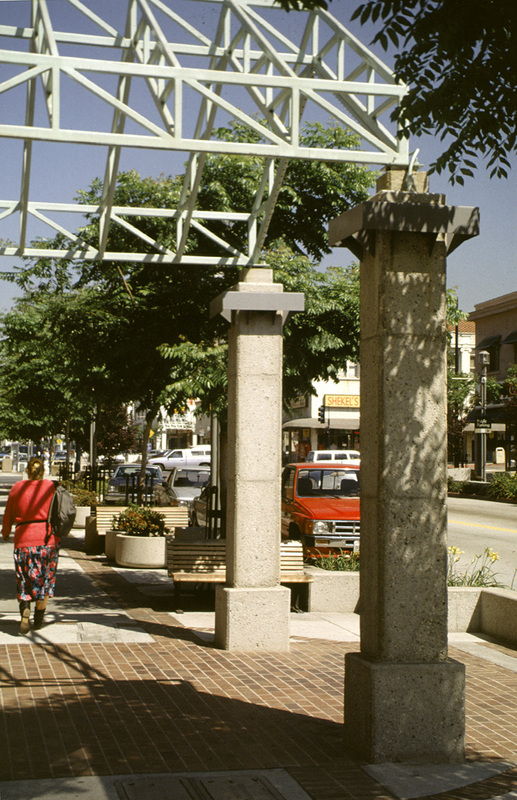 Gruen Associates was the Executive Architect for the $4.5 Million revitalization of the Golden Mall, a 20-year-old, six-block-long, outdoor landscaped mall in the retail core of Burbank. 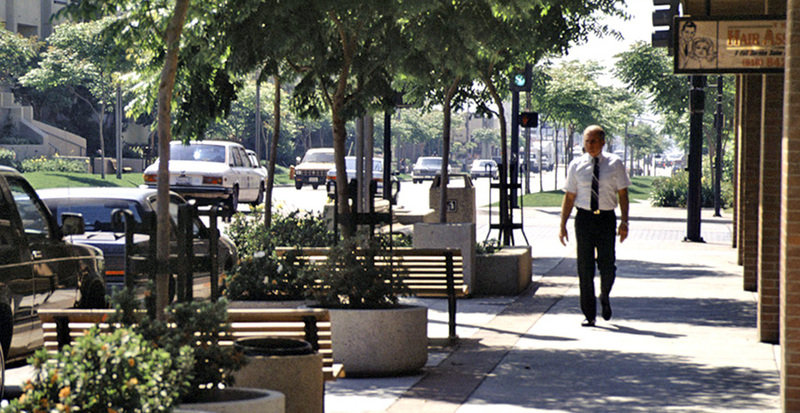 Six blocks were opened to traffic while sidewalks and plazas were repaved and landscaped. 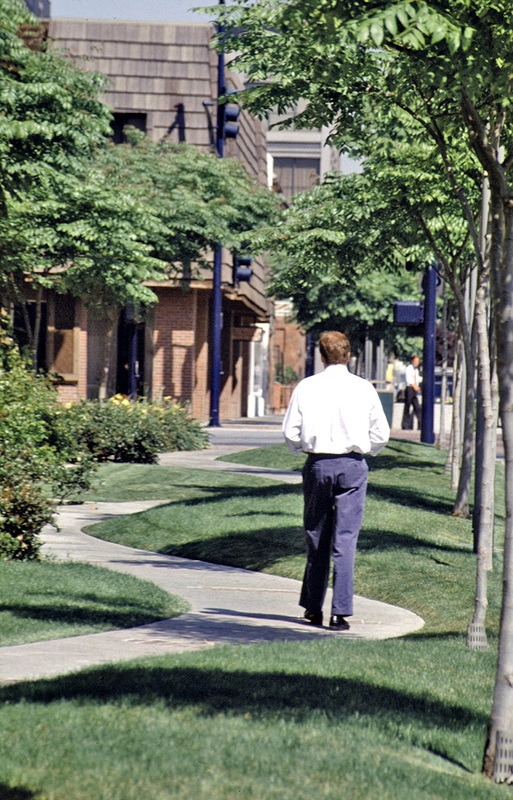 Replacing existing service alleys, the landscaped walkways were framed at each end with gabled trellises.